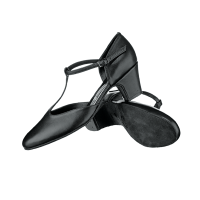 This Argentine tango shoe and social dance shoe features a closed toe, a hand made leather (thin suede) sole and a 5 cm leather covered heel. Colors: White, Black, Red, Beige, Gold or Silver Leather, Black suede, and Black glitter suede. Other materials and colors available at the customer’s request. 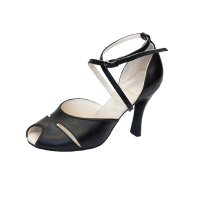 This Argentine tango shoe and social dance shoe features a closed toe and a hand made leather (thin suede) sole with a 7 cm leather covered heel. Colors: Satin- bronze, white, black, fuchsia, grey, pink, blue lilac and purple. Leather- black, red and white. Other materials and colors available at customer’s request. 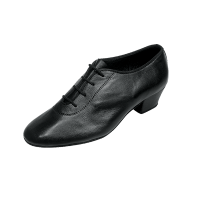 This shoe is made for Argentinian tango and social dance. The shoes have a soft suede leather sole and a covered heel. Lola features zig zagging straps across the toes with an adjustable ankle strap, hand sewn leather sole and a 9cm solid covered heel. 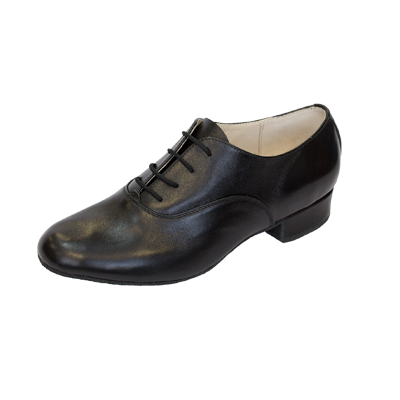 This model may be used for Tango, Salsa and social dancing. Color: Bronze Satin. Other materials and colors available at customer’s request. 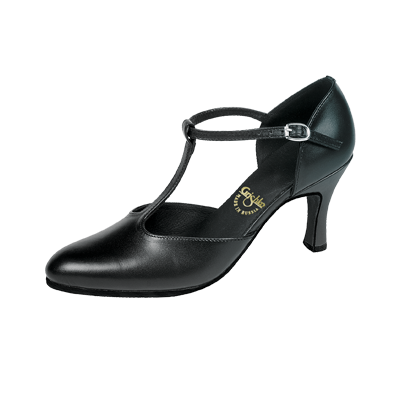 This Latin shoe has a 4 cm leather covered heel, natural leather lining and comfortable non-slip suede sole. Colors: Black leather or suede. Other materials and colors available at the customer’s request. 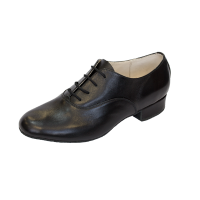 This male ballroom shoe has natural patent or natural leather upper and a suede non-slip sole with a 2.5 cm covered heel. 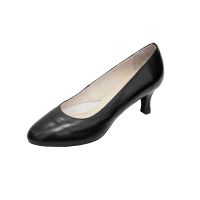 This model is good for a regular or wide foot with a high instep. Colors: Black patent leather or Black leather. Other materials and colors available at the customer’s request. Miss Mississippi features criss-cross straps and an adjustable ankle strap. 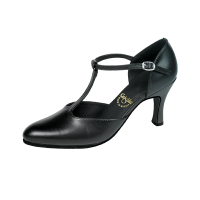 This shoe is decorated with Swarovski crystals and is available with a 5cm (03364), 7cm (03365) or 9cm (03342) covered heel. 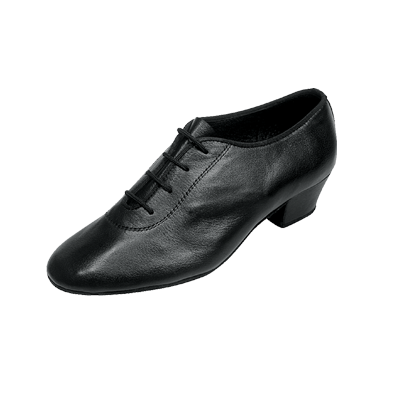 This model may be used for Tango, Salsa and social dancing. Colors: fuchsia pink, lilac, violet, light blue, silver and green satin. Other materials and colors available at customer’s request. 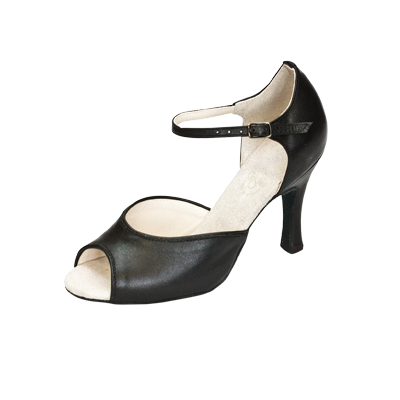 Rosalita has a peep toe and a criss-cross adjustable ankle strap, a hand sewn leather sole and a solid covered heel. 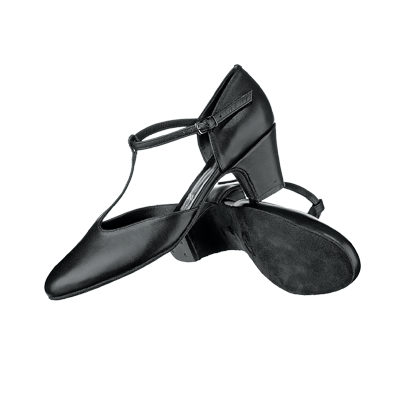 This model may be used for Tango, Salsa and social dancing. Colors: Black leather or suede. Other materials and colors available at customer’s request. 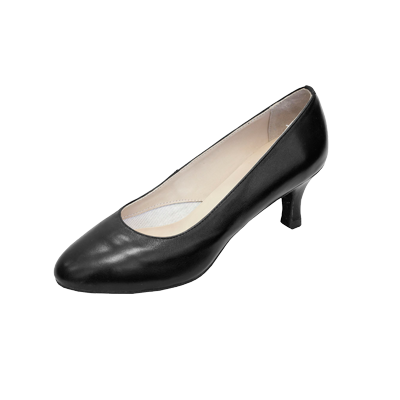 This pump style shoe is flexible with a non-slip sole which securely supports the foot. This shoe features a 5cm covered heel. Colors: bronze or white satin. Other materials and colors available at the customer’s request.